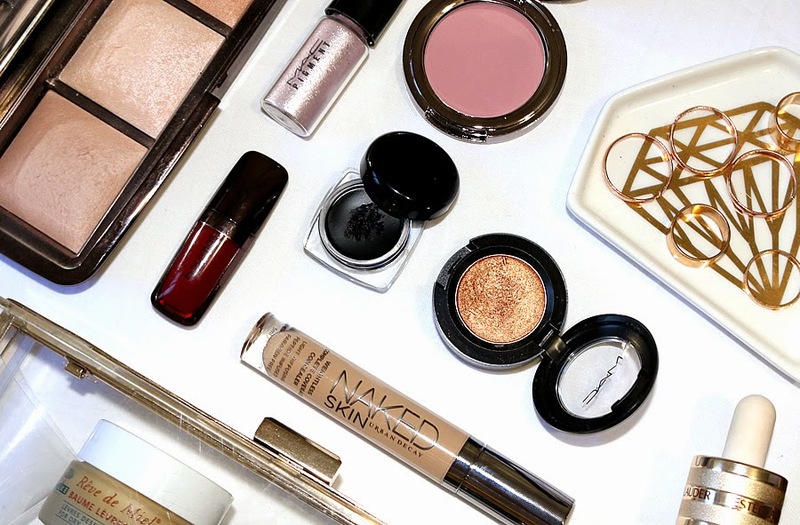 Tis the season for warm copper eyes and bold wine lip colours. 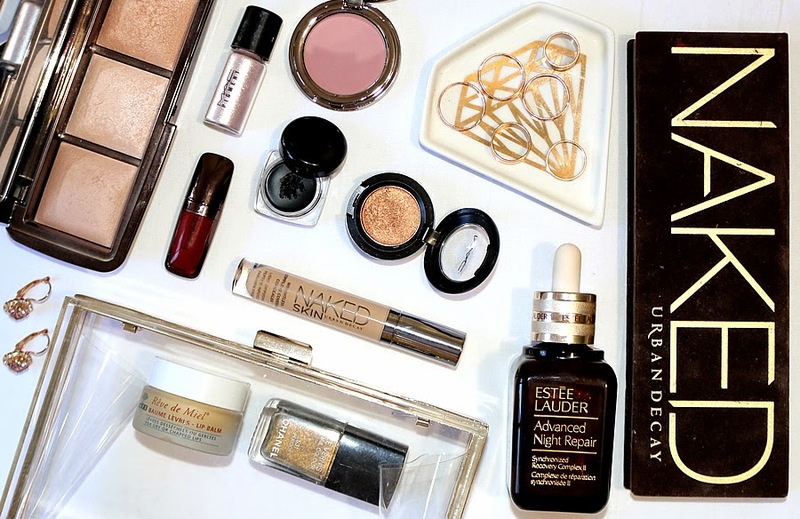 Read on to find out all about my A/W beauty essentials. It's a long post so sit down with a cup of tea and get ready to read all you need to know about the beauty and skincare for the Autumn / Winter season. Avoid your pale skin looking lifeless or dull by setting your foundation with a pearlescent powder such as this. It has a velvet finish and adds a slight glow to the skin. This particular "ambient wardrobe" has three different shades; a sandy beige for setting powders, a pale and lighter neutral for highlighting and a warm light brown for shading and bronzing. Read my review here for more information. You can't go past a bold berry lip in the Autumn / Winter time and Hourglass deliver with their highly pigmented and long lasting lip stains. This particular shade is a deep red wine, the perfect statement colour to match the season. Watch my A/W lip products video here, all about wine hues and berry pops of colour. As the colour scheme leans towards darker shades this time of year, I like to keep in bold for my eyes and a winged out black liner is the perfect way of deepening up your look. These range in price from $1 such as this one from eBay to $15 from the drugstore and more expensive options if you want to delve into the higher end. Find out more about this eyeliner in my eBay bargains post. Whenever I want to add warmth to my eyeshadow looks, this is my go-to MAC shadow which is why I keep it separate so that I can take it while I travel and leave it in my easy-access draw. Instead of going for a pearlescent white as your brow bone and inner corner highlight, opt for a purple based lilac such as this for something a bit different. It's a pigment so easy to use on it's own with a small brush or mixed with a tiny bit of water for a foiled effect. This powder cheek colour is a dusty mauve that is sheer in coverage but definitely buildable. The thing with purple based blushes is that you want them to be quite sheer to avoid a "bruised" look. I think this product is perfect in achieving a cool toned mauve wash of colour that looks great paired with a golden eye look or berry lip. Keep it light and creamy so not to dehydrate the skin further since the elements are bad enough. This barely there consistency and high coverage concealer makes it the perfect A/W product for under eye circles and blemishes. My biggest tip for having your A/W lip colours look flawless is keeping your lips moisturised for a smooth base. This particular balm sinks into the skin quickly after application, so there's no waiting around to put your lipstick over the top. I have been beyond obsessed with this shade ever since it launched since it was the most unique and eye catching colour at the time. Now there are many dupes, I have done a video on it that you can watch here. I have to give the original credit though and it still remains my favourite formulation so I always have this on hand during this season. While S/S comes down to keeping the skin protected in the sun, the biggest issue in Autumn and Winter is maintaining moisture and radiance. This is an incredible product for nourishing, hydrating, repairing and revitalising dull and dry skin. It's slightly pricey but certainly worth the investment. Read my review here or find out why it dramatically changed my skin so much. Don't forget to watch the video for more information and to see the products how they appear in real life.